Where to watch the wedding? The Bar & Grill family entertainment venue will be showing coverage of Harry & Meghan’s big day from midday. Adults can watch on the many TV screens in Harrison’s Bar. This will be followed by the FA Cup Final. Enjoy a ‘Right Royal Pimms Jug’ for £13. Children can join in with all the wedding fun with special royal themed activities including Royal Jewellery Making, Royal Ready Steady Decorate, Royal Pebble Art and much more. Watch full wedding coverage from 10am in The Lounge Bar at The Spa Hotel. 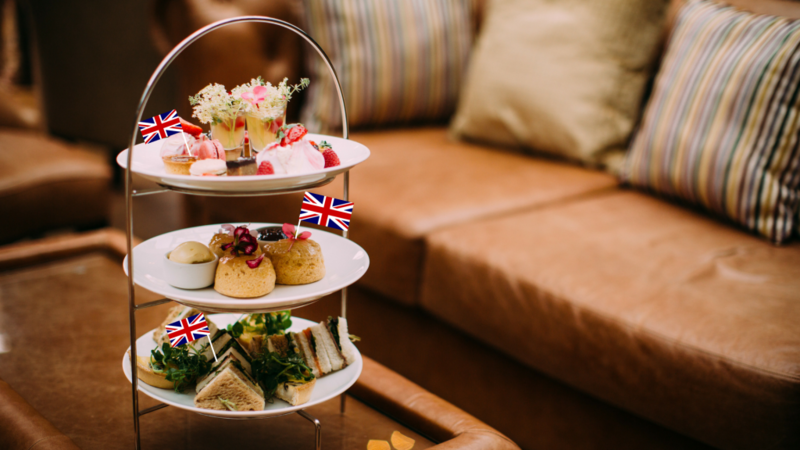 Enjoy a royally great afternoon tea featuring lemon drizzle cake (just like Harry and Meghan will be enjoying on the day) with a glass of fizz to celebrate the special occasion., all for £19.95 per person! Adults only. Limited spaces available, book early to avoid disappointment. Call The Orangery on 01772 674484 to book your place. Dress for the occasion and join The Bar & Grill team on Saturday night as they host a very prestigious fancy dress competition during their evening programme of entertainment. Dress as a prince, princess, bride, soldier or anything royal! The winner will receive a Ribby Hall Village voucher to spend! On the morning of the wedding enjoy a ‘Royal Egg Dish’ breakfast special at The Tea Room. Throughout the weekend the team there will also be serving delicious lemon and elderflower wedding cupcakes!